Monarch Air Group provides private air charter in Savannah, GA. Our clients benefit from top-notch service, unrelenting dedication to safety, wide selection of aircraft, and years of experience in chartering private jets. To obtain a free quote, please use our online quoting tool provided below, or call toll free 1-877-281-3051. 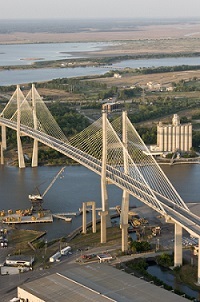 Monarch Air Group offers air charter services to and from Savannah, GA, USA. Savannah is the largest city and the county seat of Chatham County, in the U.S. state of Georgia. With Southern hospitality, beautiful historical landmarks, and flourishing gardens Savannah is known as the hostess city of the South. Savannah has something to offer for everyone from strolling through Savannah’s picturesque squares, enjoying the expansive porches by rocking the day away, or walking along River Street to shopping the City’s market and eating at one of its many 5-star restaurants. 1. BFT, County, Beaufort, United States. 2. BQK, Glynco Jetport, Brunswick, United States. 3. HHH, Hilton Head, Hilton Head, United States. 4. LIY, Wright AAF, Hinesville, United States. 5. NEA, Brunswick Golden Isles, Glynco, United States. 6. RBW, Municipal, Walterboro, United States. 7. SAV, Savannah/Hilton Head, Savannah, United States. 8. SSI, Mckinnon, Brunswick, United States. 9. SVN, Hunter AAF, Savannah, GA, United States. 10. TBR, Statesboro-Bulloch County Airport, Statesboro, GA, United States. 1. DoubleTree by Hilton Hotel Historic Savannah, 411 West Bay Street, Savannah. 2. AVIA Savannah, 14 Barnard Street, Savannah. 3. The Thunderbird Inn, 611 West Oglethorpe Avenue, Savannah. 4. Residence Inn Savannah Downtown Hotel, 500 West Charlton Street, Savannah. 5. DoubleTree by Hilton Hotel Historic Savannah, 411 West Bay Street, Savannah. 6. The Bohemian Hotel Savannah Riverfront, 102 West Bay Street, Savannah. 7. AVIA Savannah, 14 Barnard Street, Savannah. 8. The Thunderbird Inn, 611 West Oglethorpe Avenue, Savannah. 9. Holiday Inn Express Savannah Historic District, 199 East Bay Street, Savannah. 10. DoubleTree by Hilton Hotel Historic Savannah, 411 West Bay Street, Savannah.